Even though Christmas Day is over, many of us cling to the spirit of the season, savoring the wonderful feelings, the food, the fellowship, and the opening of gifts. 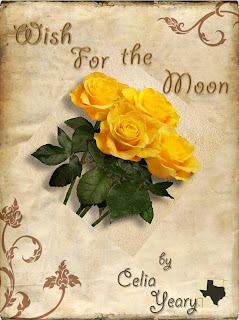 I remembered a Christmas scene in my newest release, titled Wish for the Moon. The year was 1902, and Annie McGinnis, the youngest child of the family, now at seventeen finds herself the lady of the house--the home she grew up in. The position is not one she wants, but Annie has a very strong sense of duty and responsibility, and in this case...taking care not only of the household chores, but seeing after her widowed father, Grover, and Old Blind Jarrel, a neighbor man they took in. Her brothers, Kyle and Clifford have married and moved away. Max Landry, the man Annie fell in love with after saving him from the hangman's noose, has moved on, too...or so she thinks. Christmas time nears, and Annie goes to town to sell her pecans, eggs, and jars of jelly. She hopes to earn enough money to buy a gift for her father and Jarrel. She also hopes she has enough to buy a bar a lavender soap for herself. She finds a tiny cedar tree and uses it for a Christmas tree. She places it on the end of the kitchen table, decorated with strings of juniper berries and bows made of bits of colored cloth and old lace. On each side, she places a candle. On Christmas Day, Annie placed her offerings in front of the tree. She sat two candles, one on either side, and lit them. “Jerral,” she said, “give me your hand, and you can see the tree.” She helped guide his hand, so he could feel each part, and the gifts underneath. Carefully, she guided his hand to feel the candlesticks, and waved his hand over the flames so he would know they burned. After breakfast, Annie told Grover to stay at the table so he and Jerral could open their presents. Grover, though, took Jerral to the bedroom first, and when they returned, each held a gift, wrapped in white paper with red string. Jerral loved his suspenders, and exclaimed over them, how he liked the thick, woven texture, and the feel of the smooth metal clasps. She helped fasten them to his pants and adjusted them to the right length on his bony shoulders. “Oh, you look so fine, Jerral. These were just made for you.” He asked if he could kiss Annie’s cheek, and she happily let him. Grover said little about his new blue-striped shirt, but he held it in his lap and stroked the soft fabric for a long time. Finally, he told her the other two gifts were for her—one from him and one from Jerral. Jerral gave her the only thing he had—his family Bible. Grover gave her a small box of chocolates from the drugstore. They were in a gold colored box with a fancy seal on the top. The label read, “Golden’s Chocolates, Made in Chicago.” Each one had a different center—vanilla fondue, strawberry and lemon creams, nuts, coconut, and caramel. Tears ran down her face. Never in her life had she received such a grand present. Annie laughed and cried some more, and soon, all three choked up. Christmas had come, after all. At the dawn of the Twentieth Century, sixteen-year-old Annie McGinnis wishes for a chance to see more of the world, since all she’s ever known is the family farm in North Texas. A mysterious visitor arrives who will change not only her life, but her family’s as well. To save Max Landry from a bogus charge, she follows him and the Texas Rangers back to the coal-mining town one county over where a murder occurred. The short journey sets Annie on a path of discovery—new horizons, an inner strength, and quite possibly…love. Buy Link on Willow Moon Publishing--ebook. Labels: Celia Yeary. North Texas. 1902. Sweet romance. Old-fashioned story. My brother and I have been working on a family history book for our father's Johnson family. 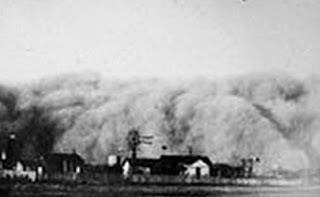 Although my brother and I are Texans, our father's and mother's family were Oklahoma pioneers. Daddy's family moved from Georgia to Texas and then to Oklahoma. Mom's family moved from Tennessee to Oklahoma. The following is part of an account by a member of our paternal step-grandmother's Garton line regarding their move from Hill County, Texas to Old Greer County (now Harmon County), Oklahoma in 1899. The entire account is too long to include here, but I hope you find this portion interesting. It's from an oral history recorded in 1978. "...We camped at Mr. Brim’s because he had water. There was an empty dugout nearby. We moved into it because it was so cold in the tent. We had a sheet-iron stove, but there wasn’t any wood. Willy had pneumonia. The gyp dust of the dugout turned out to be worse on him than the cold, and so we had to move back into the tent. I was just nine years old when we moved from Hill County, Texas. Oh, how homesick I would get for all those beautiful trees I used to climb (I was the tomboy of the family) and the creeks I used to wade in. I missed our big house too. Everything got so dirty in the dugout. My brother-in-law Ed, who had said this country wouldn’t sprout black-eyed peas, brought my sister Attie to see us. They decided to homestead north of us. We were all together then, and I knew there wasn’t much hope of going back. Readers, don't look for Martin on the Oklahoma map. When the railroad passed the town in favor of Hollis, Martin Township died. Even Hollis' population has dwindled now that the railroad no longer goes there. There's a nice Black-Eyed Pea Festival the third weekend in August. Most of my family members have moved away. And if you are wondering why--if Willy couldn't breathe in the dugout--his father and older brother built another one, it's the gypsum. Gypsum deposits run through some areas of Old Greer County, now Harmon County. Since the gypsum-filled dugout was on Mr. Brim's land, one can only guess that the family built their dugout in red sandy loam instead of gypsum. Or, maybe the Brim's had used limestone/gypsum wash to paint the inside of the dugout. 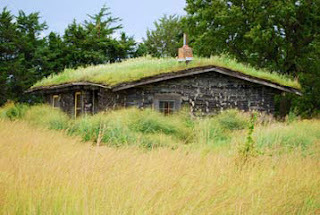 I have no idea, but know that I prefer a brick home with a nice firm (cleanable) floor. Yes, although I love writing and reading about the Old West, I'm very thankful I live in modern times! I wonder what the future will bring? What will families in 120 years think of our lives? Fir trees, because of how they remained green during the winter solstice, were considered almost magical and therefore their green coloring came to signify everlasting life. 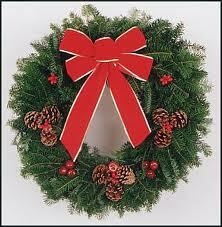 Even before the birth of Jesus people created wreaths from the ‘evergreen’ trees and/or holly and hanged them upon their doors during the cold winter months for prosperity in the spring, and in ancient Rome people displayed wreaths on their doors to signify victory in battles. This tradition continued, or was ‘rolled’ into ‘Christmastime’ when the church chose to celebrate the birth of Christ on December 25th. The color red was then added to represent the blood of Christ. My father’s favorite color was red. He was also a “Christmas Eve” shopper. I tried hard to get him to shop earlier, but finally had to concede it wasn’t going to happen. So no matter how many people I was expecting for dinner that night, I knew my Christmas Eve morning would be spent shopping with my dad for one particular present. A red dress for my mother. We deviated a bit over the years, a red skirt and jacket, or one year it was a red coat, but for the most part, it was always a red, somewhat fitted, dress. They were married for almost sixty years, and my mother always acted like that was the first red dress she’d ever received upon opening his package. When my father died in 2007, I told my sister I was going to buy a red dress for the funeral, and that tumbled throughout the family. At dad’s funeral all the girls, right down to my granddaughter, not yet six months old, were dressed in red and the men of the family wore red shirt or ties. That year, though I didn’t buy it on Christmas Eve morning (I’ll always keep that morning sacred by not shopping), I bought my mom a red blouse, not wanting to try and replace dad’s gifts, but to keep the tradition going. And did so every year until this one. Mom passed away in June. While shopping the other day I saw a blouse she would have loved, so I bought it, and will wear it tonight with honor as the family gathers. 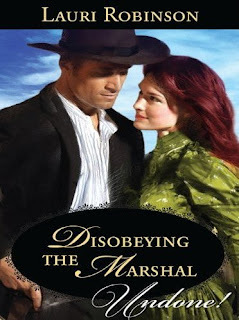 And, I must take a moment to mention my next Harlequin Undone, Disobeying the Marshal goes on sale January 1, 2012. Marshal Cord Donovan believed he was married to his badge—until one incredible night in Florie Rockford's bed changed everything. When Florie unexpectedly arrives in town with a desperate warning for his safety, Cord is determined to show her that their spark burns so hot that one night will never be enough. 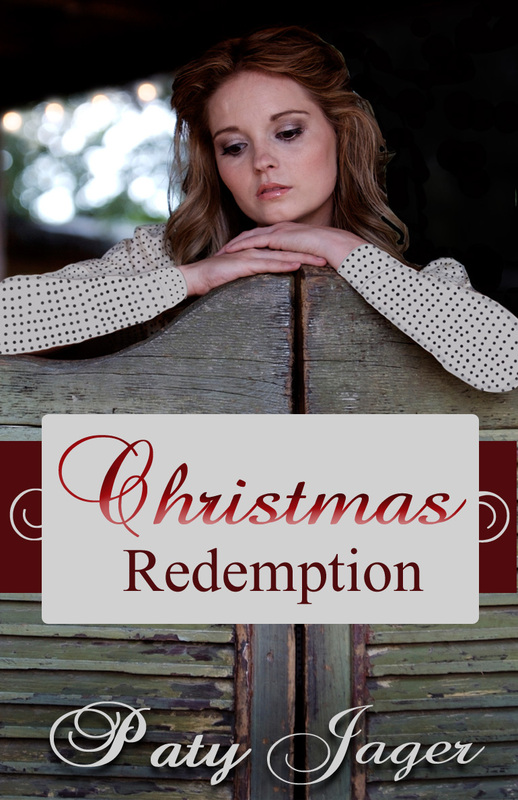 But Florie has returned with more than just a warning—the consequence of their passion defies all the lawman's rules! Florie lowered onto the couch and took a deep breath. It was too late to turn back. She was here. Glancing up was a mistake. The way he cast those caring eyes at her had her heart pounding and her insides growing warmer by the second. The uncanny way he made her feel was scandalous for sure, and she’d thought of little else since he’d left her house three months ago. Twirling and twisting, her mind sought to pull up something besides the images she treasured. The ones of them alone, together. The ones she dreamed of reliving. “Florie?” He knelt down in front of her. Do you ever wonder what happened to the toys you gave away every year right before the holidays? I was thinking about some of those toys the other day. What toys did you give to the charities that collected them for children who might not have any gifts? What did those toys mean to you? While watching Antiques Road Show the other night, an appraisal of an old miniature chest reminded me of a small wooden doll dresser I played with in my early years. It wasn't fancy, but it was painted cream with blue trim, had rounded wooden drawer pulls and three drawers. It couldn't have been larger than about 14 inches tall and 12 inches wide. I kept my dolls' clothes in that simple wooden chest that someone had made, and somehow it had been given to me. Alas, it was given to the toy collection at the fire station in our neighborhood. I wonder where it ended up. Did a child enjoy it as much as I did? Did it end up broken and left outside to fall apart, or does someone still appreciate it and take care of it? What is its value today? I also wonder what happened to the doll clothes my grandmother sewed for my dolls. And whatever happened to the dolls I loved and played with before they were given away? Even though my dolls were given to the fire department toy collection, I retained my love of dolls. Before they were all gone I even learned how to sew doll clothes with my grandmother's help. She taught me to sew on her old sewing machine, the kind that had an iron foot rest that I had to learn to tilt back and forth with my feet in order to spin the wheel that moved the needle up and down. The oak sewing machine table had two small drawers, one on either side. There was a rhythm to pushing the foot rest with my feet. It was a soothing rhythm just like the hum of the wheel turning. I'll never forget those days with my grandmother learning to sew and the satisfaction of making something. I put the doll clothes I made in that doll chest. While rearranging the spare bedroom recently in preparation for a holiday visit from my daughter and son in law, I came across a shoe box full of bits of sewing materials for making doll clothes. It belongs to my daughter. We made clothes for her dolls when she was very young. I made some of the clothes, and she made her version. The doll clothes in the box that held the bits of sewing materials brought back great memories. I put the box with its contents away carefully to save for her to remember those times. Here in North Central Texas, we’re prepared for what the weather forecaster says is a "cold front." Brrr. Where I'm from in West Texas, it's called, "Nothing between us and the North Pole but a barbed wire fence," because strong north winds chill as if coming off the frozen North Pole. How do those people in Siberia tolerate living there? Ah, well, that’s a problem for another day. The good thing about this weather is that it makes Christmas seem nearer. 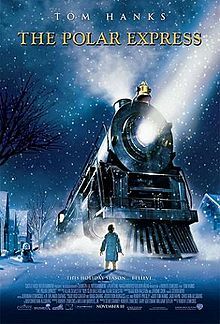 Heavens, it IS near and careening toward us like the fictional train, the Polar Express. Yikes! But this is my favorite week of the entire year! I love the excitement, anticipation, and preparations for Christmas. Our tree looks lovely and our house is decorated. But there's the candymaking to finish and more cookies to bake...How will I get everything done by Christmas Eve? Either I’ll be late with some things for this year—or maybe I’ll be very early for next year. I'm not the only one who loves this week of the year. Old and young are counting off the days until Santa arives. You do believe in Santa, don't you? 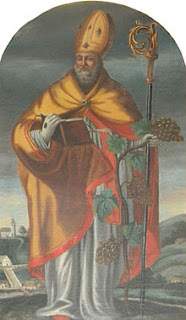 Did you know Saint Nicholas or Nikolaos was a real person? He was the Bishop of Myra (part of present day Turkey) in the fourth century. Imprisoned and beaten for his faith, he was finally released and even attended the famous Council of Niceaea in 345 AD. Appropriately for the "jolly old Saint Nicholas" he's become, he's especially revered for his protection of children. Many stories are of him saving a child or children. Sailors also pray to him for protection. His Saint Day is celebrated on December 6th. He's also referred to as Nicholas the Wonderworker. But wait...this is not a religious blog! Sweethearts of the West is a western blog. Although it's true Santa Claus is not strictly western, Jeff Guinn certainly is. 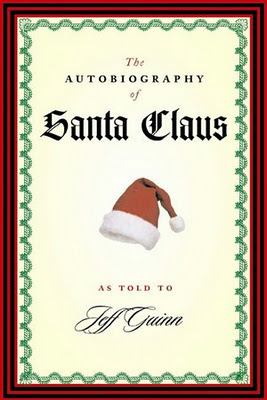 THE AUTOBIOGRAPHY OF SANTA CLAUS, AS TOLD TO JEFF GUINN. I was relieved to learn from this autobiography that the Santa Claus/Saint Nicholas tradition was not merely a marketing ploy concocted by Madison Avenue. But they do make the most of Santa Claus, don't they? There really was a Saint Nicholas! And he really did go about giving gifts! 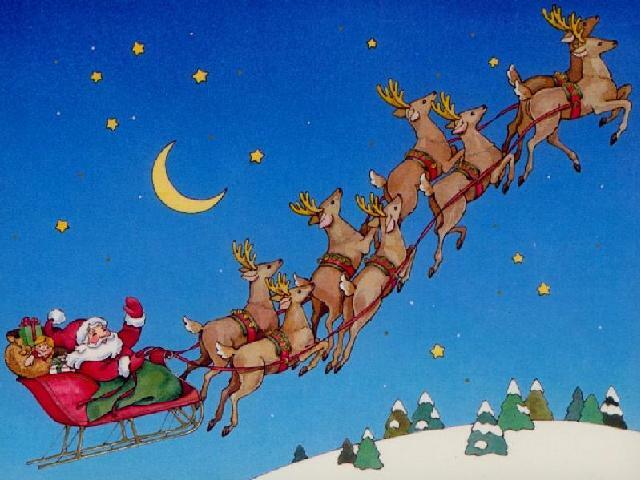 Okay, he didn’t crawl down chimneys. That part is not true. Homes didn’t even have actual chimneys as we know them back then. Many just had a hole in the roof. Not too cozy in bad weather! Saint Nicholas’ first known gifts were to the daughters of a very poor man. They couldn’t marry without a dowry, but their father had none to offer. The girls only had one pair of stockings each, so every night they washed their stockings and hung them by the fire to dry overnight. Taking pity on the girls, Saint Nicholas either (1) tossed bags of gold through the window or (2) put the coins in the stockings the girls left drying by the fire. 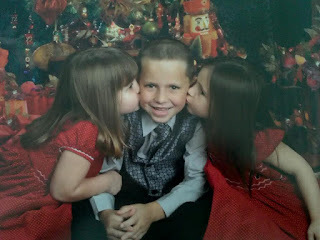 Thus, the girls were able to marry (and, hopefully, each acquired a second pair of stockings!). 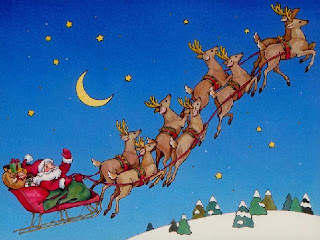 THE AUTOBIOGRAPHY OF SANTA CLAUS is a good book to read to children at the age where they harbor doubts about Santa, but I also enjoyed this book. I like the fact that Saint Nicholas continually worked to better the lives of those with whom he came in contact. I like the fact that this good man has become a saint whose life is still celebrated. I love that he tried to help people in secret rather than seek recognition. 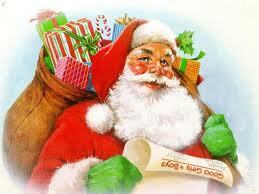 Saint Nicholas went around giving to the poor and helping all those he could. In other words, he did what we’re all supposed to do. Remarkable that he did what he could in a time when the poor were looked down upon and mistreated. Oh, wait, they often still are. aren't they? Remarkable that doing what was right created so much notoriety and controversy, yet gave him a permanent place in history. Remarkable that we continue his legacy by giving to those we love and, hopefully, also to those in need. Whether you call him Saint Nicholas, Santa Claus, or Father Christmas, thanks for continuing his legacy by sharing with others. I do believe in Santa Claus! His spirit lives on in the good works of people like you, dear readers. Whether you celebrate Christmas or Hannukkah, here's hoping you and yours have a wonderful holy season! Hi everyone! 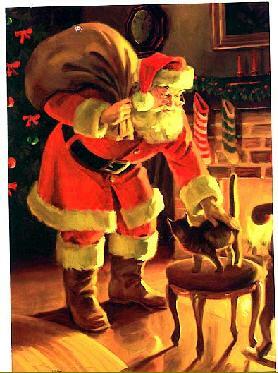 This is a version of a story that was published by Adams Media several years ago in one of their Christmas anthologies. I had several stories in their Christmas anthologies and their "Rocking Chair Reader" series anthologies, and this one was one that I thought you all might like that gives a glimpse into a little girl's idea of Christmas in the early 60's. I hope you enjoy! No one loved Baby Jesus like I did. He was my constant holiday companion. From the moment we took the nativity set from the box to decorate for Christmas, I carried him with me. I couldn’t just let Him just lay in the cardboard manger unattended. The nativity was old, even older than I was. It was made of thick brown cardboard, as was the manger. A few pieces of straw were glued into it, but not nearly enough to make a good baby bed! I thought of Baby Jesus as the little brother I had begged for and never got. Someone had to take care of Him. Jesus, Mary and Joseph, as well as two of the attending sheep, were made of plaster. They’d chip or break if not handled with great care. At four years old, I knew how to be careful—especially with Baby Jesus and His entourage. The proof of what could happen was all too evident in poor Mary. Two years ago, Someone had been too rough, and there had been a terrible accident. The blue shawl that covered Mary’s back had been broken, revealing a ghastly silver rod that disappeared into what was left of her shawl, gathered about her feet. At the top, the exposed rod extended into the back of her head. Mary had to be positioned just so, to keep the world from seeing that horrid sliver of metal that kept her in one piece. I couldn’t help wondering if my Baby Jesus had a rod running through Him like His mother did. I finally convinced myself He didn’t—He was a lot smaller, and there probably weren’t any rods that tiny...Being the Son of God, He didn’t need a rod. Joseph struck a thoughtful pose, kneeling beside Mary, both of them watching the perpetually empty manger. He was a bit wobbly since Someone, in a terrible accident, had chipped quite a chunk from his orange and yellow robe near his feet. Kneeling was a challenge for him now, but not impossible—especially if he leaned a little on Mary or the manger, or one of the poor chalk sheep who had lost their tails somewhere along the way. The three kings added color to the scene in robes of red, green, and purple. They had been added at a later time, and were made of a thick, brittle plastic rather than plaster. They carried gifts that were of no value to a baby. Balthasar’s arm was missing. He had been extending his gift of frankincense—perfume! I cut a small blanket of green velveteen from the back of a dress in my closet and laid it over his stump. Jesus would enjoy a warm blanket in that drafty stable more than an old bottle of perfume. Melchior knelt in humble repose, a hinged gold box in his hands. As if Jesus could open a box! Being four, I didn’t have any “baby toys” left to offer, but I did have something better than what those supposed “wise men” brought. I had colored marbles—something pretty for Jesus to look at. And I had crayons to color Him a picture. I imagined Baby Jesus would be getting mighty tired of Christmas music right about then—it was all He ever heard. I headed for my collection of 45’s and settled one onto the turntable of my record player. Johnny Horton belted out the strains of “North to Alaska” while Baby Jesus and I danced together. We didn’t have a Drummer Boy for our nativity set, and I felt the loss keenly. I wanted our Baby Jesus to have the best nativity in the world. It was bad enough that Someone had irreparably broken the only shepherd we had about two years ago in a terrible accident. Now, we had sheep milling in the stable with no shepherd, and no Little Drummer Boy, either. It was a situation I could easily remedy. I had four different colors of Play-Doh. After a long, tedious ten minutes, I had what I considered to be a passable Drummer Boy and his drum—complete with tiny drumsticks. The other wise man, Caspar, was in bad shape, but there was no help for it. Someone, in a terrible accident, had broken off his head. My mother had re-glued it, but after it had dried, the glue line showed as if he had not washed his neck after a month of hot Oklahoma summer days. I tied my Annie Oakley bandana around him. It would cover his broken neck, and give him a mysterious look—like a western Superman carrying his leather-bound gift box. It contained myrrh, which I knew was a kind of oil. Finally, something Baby Jesus could use! We had a cow, a donkey, and an angel made from the same hard plastic as the wise men. In a terrible accident two years ago, the donkey’s rear had been broken off. I put him at the back of the stable. The cow was lying on the ground, its legs folded beneath it. It must have seen whatever had befallen the donkey and gotten to the ground in time to avoid disaster. I brought Baby Jesus out of my pocket and gave Him a kiss. It was then that I noticed what bad shape He was in. I had loved Him too much! His baby hair was spotty, as if the paint had been worn off in places. His body was dappled unevenly from constant handling, and His nose was almost completely flat. But His blue eyes were open, sparkling joyously. I knew He must have caught a glimpse of His nativity set. I held him out to get a good look. I had taped a freshly colored picture of a boy and his puppy inside the stable wall. It covered the window and kept out the night wind. I showed Him His bed with the marbles around the base of it, the sheep on guard to keep them from rolling out of the stable. Caspar’s bandana looked mighty fine, safety-pinned across the glue line. I had done as much as I could for the others; hidden the donkey’s broken rear and Mary’s metal rod, and let Joseph surreptitiously lean against the kneeling cow so he wouldn’t fall. I laid Baby Jesus in His bed and covered Him with Balthazar’s new offering—the blanket. I only hoped Baby Jesus could help me, now. 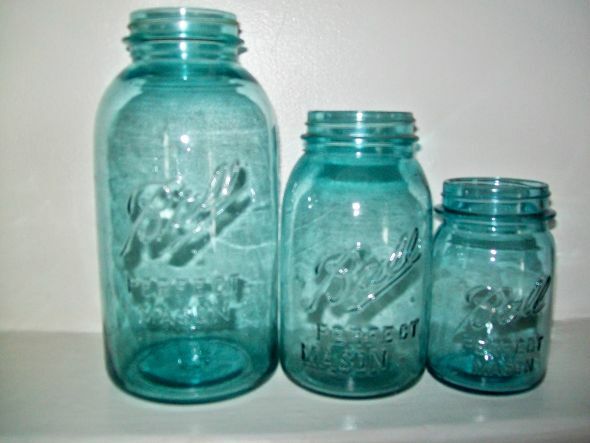 In 1858, The Mason jar was invented as the first canning jar by John Landis Mason. He expanded upon the ideas of Frenchman Francois Nicolas Appert, a pickler, brewer, chef and distiller who in 1810, had established the principles of preserving food in hermetically-sealed glass containers. John Mason developed a shoulder-seal jar with a zinc screw-cap. Ten years later, he inroduced a top rubber seal above the threads and under a glass lid. So why do most Mason jars come marked with the name Ball? When John Mason’s patent expired in 1879 , the market opened for competition. In 1884, the Ball brothers swooped in and started a manufacturing company inNew York State. However, three years later, Ball Brothers Glass Manufacturing Company moved to Indiana. During the Great Depression, the company did not lay off one single worker. After 88 years as a family business, the company went public in 1972. 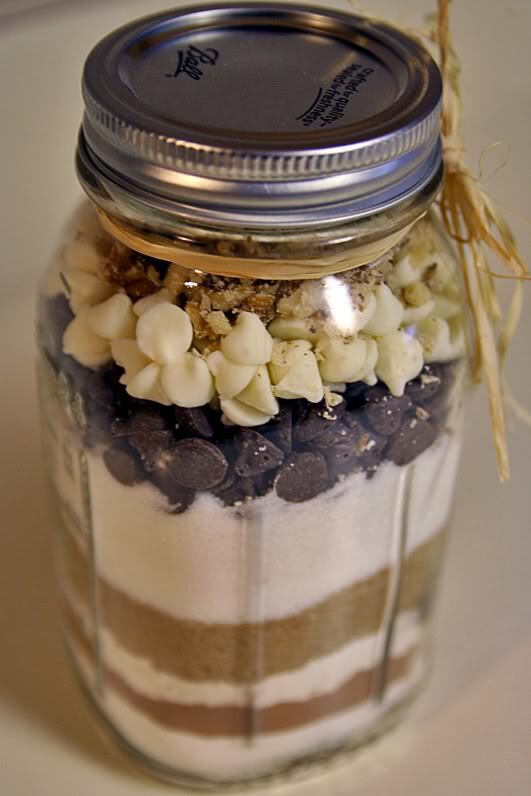 And their lovely jars can be used to construct the perfect Christmas gift for your neighbors. Cover the lid with a circle of gingham or calico, tie with a festive bow, and you’ve got it made. Don’t forget to attach the directions. Last week I signed, addressed and sent out my Christmas Cards. For me, that was a little late. I’ve been known to have my cards in the mail December 1st. This year, I had to wait for the photo cards of my grandkids to come in before I could send them out. Doing the cards got me to thinking about the history of Christmas Cards. So I did a little research for Sweethearts of the West Holiday posts. By the 1840’s the custom was well established. The first card was designed in England in 1843 by Sir Henry Cole, who decided to try something new that year. He commissioned artist John Calcott Horsley to illustrate a 3-panel scene. One scene in particular raised a fuss with the Puritans, as it depicted a family raising glasses in good cheer. 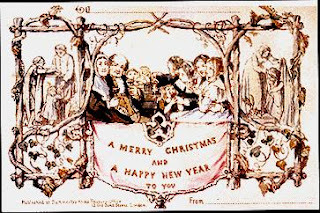 “A Merry Christmas and A Happy New Year To You” was embossed across it. Of the 1,000 commissioned by Cole, only a handful remain today. In spite of the lack of enthusiasm by the general public over Cole’s card, the idea did catch on. Perhaps the public was tired of making their own cards. In 1844, more than 25,000 holiday cards were sold in England. 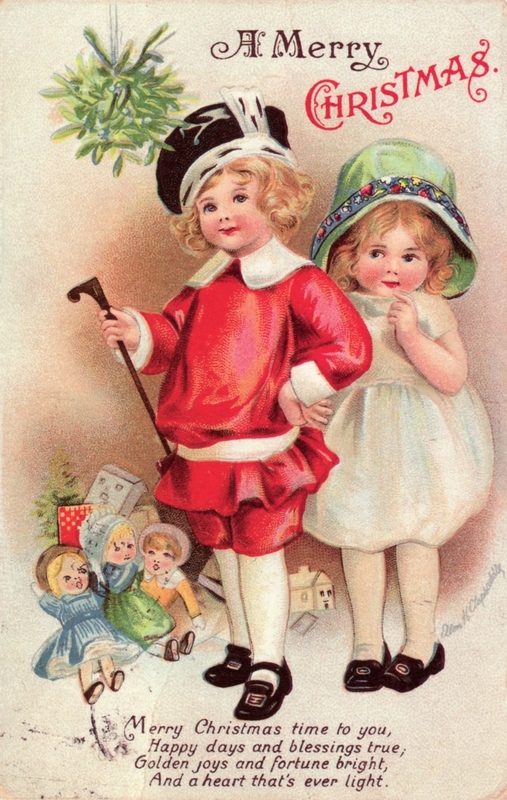 The fad crossed The Pond and the exchange of Christmas cards became popular in America as well. However, for 30 years, the U.S. had to import their Christmas cards from Europe. In the 1850’s, German immigrant Louis Prang opened a lithograph shop in Boston. In 1875, Prang published the first Christmas cards, which featured birds and flowers instead of the traditional holiday scenes usually associated with Christmas cards today. By 1881, he was producing more than 5 million cards a year. 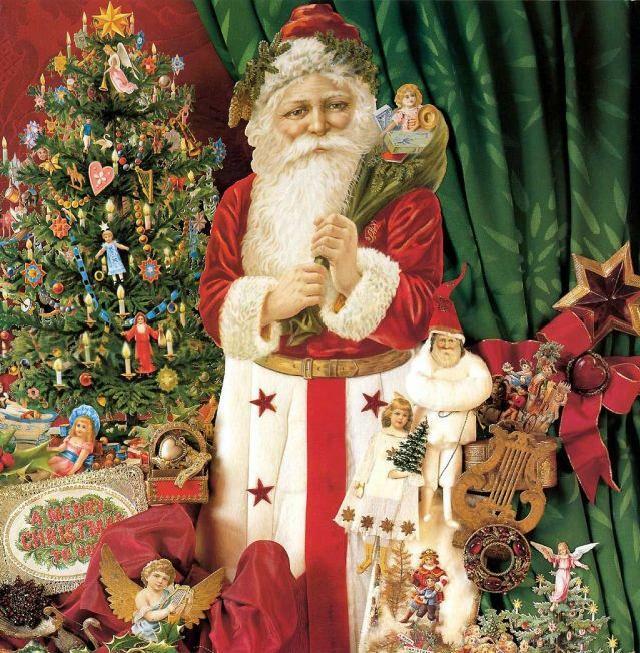 · A surge of Christmas Cards were sent in the 1940’s as family and friends sent cards to far-flung military personal fighting throughout the world during WWII. 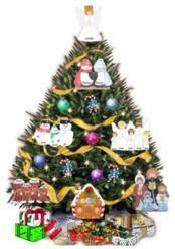 · Organizations took up using Christmas cards as a way to raise money. The most famous is UNICEF, who began their program in 1949. St. Jude’s Ranch in Arizona is another well-known non-profit who uses Christmas cards as a fund raiser (they recycle cards, so a good place to send yours). · More than 2 billion cards were mailed in the U.S. last year…think the post master imagined THAT number of cards? 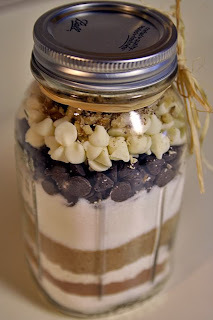 Be sure and visit my blog, www.annakatherlanier.blogspot.com for daily recipes for holiday goodies! Ever since reading about Laura and Mary receiving oranges in their stockings for Christmas in the book The Long Winter, I've wondered about the significance of an orange in a stocking. My grandfather in California raised oranges and we always received a box of citrus and nuts from him in December, so an orange in my stocking wasn't something that would leave me in awe. But the books and movies in that time period that made a big deal out of the event made me go looking for info on the subject. In the 1880's oranges were plentiful in the U.S. being raised in Florida and California. And with the transcontinental railroad they could be transported efficiently. With oranges being harvested in the wintertime it was the perfect "fresh fruit". The story I found that best tells why an orange is placed in the toe of a Christmas stocking has to do with Bishop Nicolas of Turkey. There was a poor man who had three daughters he wished to marry off but they were so poor they had no dowries. 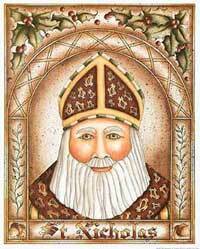 Because the man was a good man, on Christmas Eve Bishop Nicholas tossed three bags of gold down the chimney. 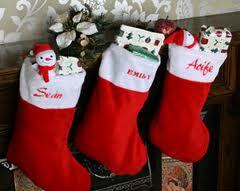 A bag landed in eachone of the girls' stockings hanging from the mantle to dry. Due to the heat the gold coins melted and formed a gold ball. To this day an orange or tangerine in the toe of a stocking symbolizes the gold ball and wealth. In the late nineteenth and early twentieth century for a child to find an orange in their stocking was like finding gold. The fruit was a precious treat and it also symbolized their parents had enough prosperity to purchase the "gold" for their stocking. I haven't used this in any of my stories but one day it might just end up in one. Wishing everyone a joyous Christmas filled with family, friends and good times! Welcome, Kristy, to Sweethearts of the West. I noticed from reading your bio that you have four young children. How do you manage to write with so much work to do? "I’ve always written since I was little. Honestly, I couldn’t stop. But I didn’t become serious about publishing a book until I was in my 30’s. I was home with 4 young kids and writing was something I could do without leaving the house. 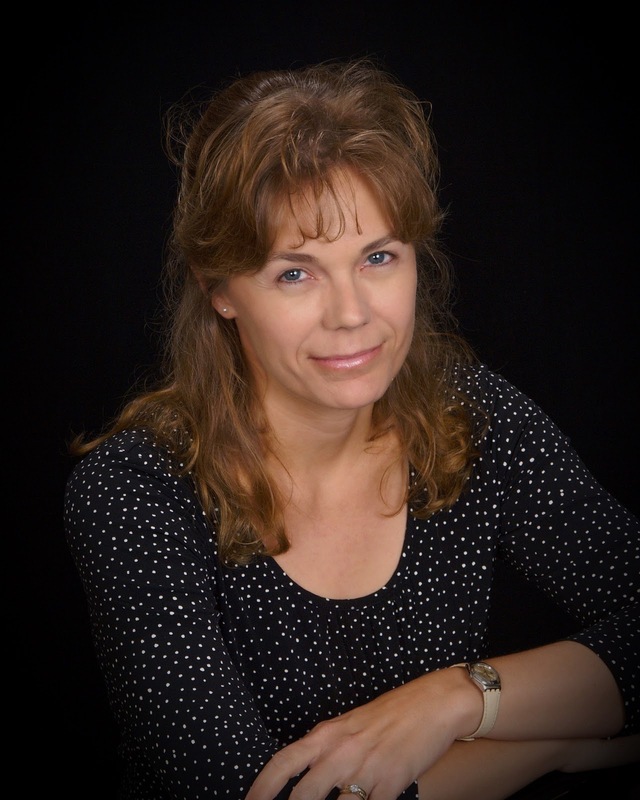 The internet was such a blessing because I could network and research and submit to publishers without having to run all over the country, which I really couldn’t do anyway." The titles of your books contain certain kinds of birds--The Wren, The Dove, The Sparrow. Can you explain this to us? 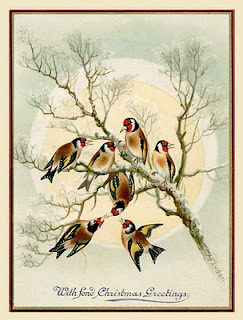 Do you especially like birds, or are they an analogy of sorts for your characters? "Yes, I love birds and yes they’re an analogy in the stories themselves. 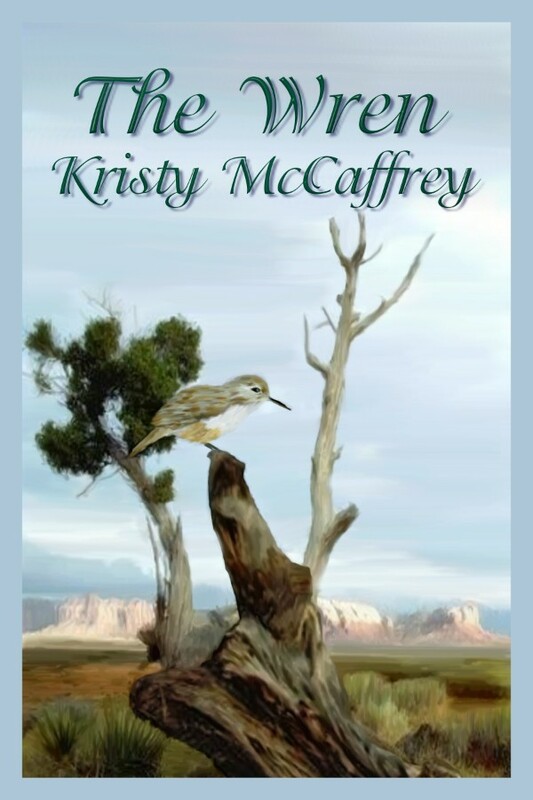 I didn’t consciously choose to write about birds at first but as the stories fleshed out it seemed to work. In The Wren the bird represents finding a way back home. The Rock Wren does this odd thing in that it lays a path of stones as a marker to its nest. The main character Molly is returning to her Texas home after a childhood spent with the Comanche. 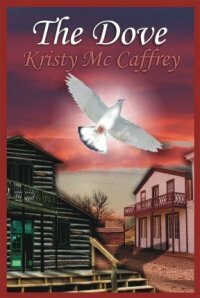 She’s trying to find that “path.” In The Dove the main character Claire has grown up in a brothel—The White Dove Saloon—so the obvious connection is with “soiled doves,” but the bird also represents a higher spiritual calling, which Claire pursues with her love of medicine. 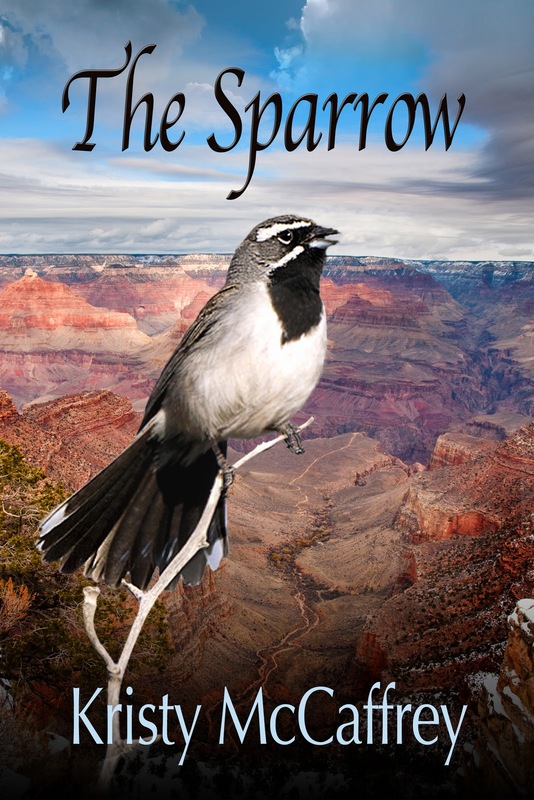 In The Sparrow the main character Emma undergoes a shamanic transformation while in the Grand Canyon and her spirit animal is a sparrow. The next book is called The Blackbird and since I’m still writing it I’m not sure how the bird mythology will play out. I like discovering the connections as I go." Do you have pets for your children? Or for yourself? "Both. I’ve always had dogs so can’t imagine not having one around. We currently have two chocolate labs, Ranger and Lily. Just love them to pieces. My parents recently rescued two puppies on the Indian Reservation (they run wild up there—it’s heartbreaking) so we’ve all been having a good time getting to know them. They’re a cross between a coyote and a dingo." What kind of movies do you enjoy? Have you ever cried in a movie? "I’m a big movie-lover and have been my whole life. I like just about anything, except maybe horror. I really don’t like being scared. Yes, I cry all the time at movies! My kids make fun of me. I love Star Wars, Harry Potter, the Twilight Movies, Tron Legacy, Reign of Fire, Blue Crush, While You Were Sleeping, Practical Magic, Red Planet, Day After Tomorrow, Armageddon, Independence Day, Galaxy Quest. From this list I think I like a lot of sci-fi." When you're stressed and have no time to make dinner, what is your emergency meal? "I always keep a frozen pizza in the freezer; it’s very easy to pop in the oven. But I also have a 17-year-old son who loves to drive anywhere, so I can usually convince him to get take-out." What stereotype would you label yourself? "The shy author. 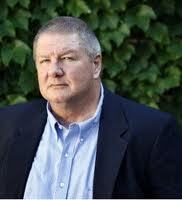 I love that people love my books but I’m happy being a hermit." Tell us about The Wren, The Dove and The Sparrow. Do these books have a common theme? Are they in a series? 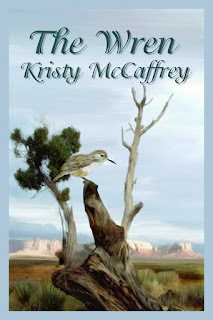 "The Wren, The Dove, and The Sparrow are part of my Wings of the West Series, Books 1, 2 and 3, respectively. They’re connected through the characters." The Dove: Reunited with Logan Ryan on the steps of The White Dove Saloon, Claire Waters hides under the guise of a fancy girl…and lets the ex-deputy believe the worst. 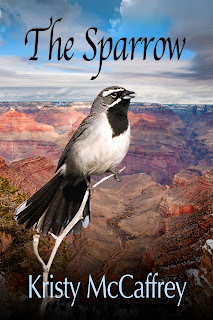 The Sparrow: Plagued by visions, Emma Hart has come to Grand Canyon in search of answers. Texas Ranger Nathan Blackmore has come in search of Emma. Together they’ll delve into Hopi folklore and face an ancient evil. Will you give us an excerpt from the newest release, The Sparrow? A brilliant sunset played across the western sky as Emma followed Masito and Nathan into the small Hopi encampment. After climbing for several hours, they emerged at the top of a flat plateau filled with pine trees. A strong wind greeted them, pressing against Emma, but she felt she could breathe again. She hadn’t realized how confined she’d felt down at the bottom of the canyon for the past few days, and how much hotter it was down low compared to the cooler highlands. Watching Nathan’s broad-shouldered back, Emma felt relieved he had accompanied her. A sudden wave of discomfort passed through her about what was to occur with the boy and the Hopi people. Unease filled her and she wondered if this was some kind of test. She’d heard of such things—people who possessed great gifts of spirit and healing who were put through trials to determine their character and fortitude, their patience and courage. Was she about to endure such an inquiry? Did she have latent healing abilities? If she did, she was unsure how to bring them forth. The encampment consisted of several lean-to’s covered with animal skins, the ends flapping in the wind. Emma guessed there must be twenty or thirty Hopi present and not all of them were men. Women and children moved about also. Several fires burned and it appeared the evening meal was being prepared. As the three of them approached, the people recognized Masito but didn’t come forward. Instead, they all stopped their movements to stare at the two strangers accompanying him. As Emma got closer, she immediately felt the scorn and the jealousy coming from the women, mostly the younger ones with hair wrapped in extravagant buns on either side of their heads. “Why do the women dislike me so much?” she asked quietly, stunned by the strength of the emotion permeating from the crowd. “I’m wondering the same thing,” Nathan replied. Emma felt relieved. Then it wasn’t in her imagination, or on the tip of her visionary skills. “Like hell.” Nathan stepped in front of her. I know the books are published by a publisher we share--Whiskey Creek Press--and that the first two are available as separate books, and now, also in a "Mega Book" that contains both stories. I think this is a wonderful idea. "Thanks Celia! It’s been wonderful to stop by the Sweethearts of the West Blog. I feel right at home with all these wonderful western authors.."
Who Really Wrote "The Night Before Christmas?"